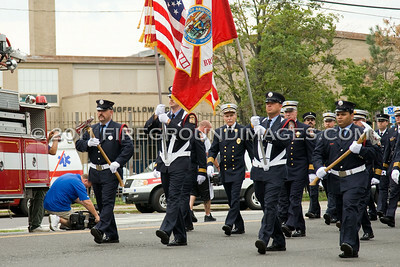 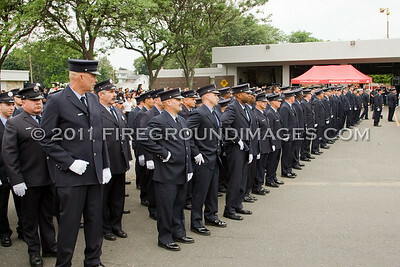 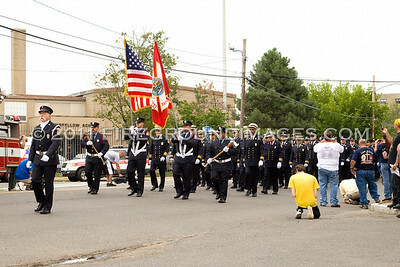 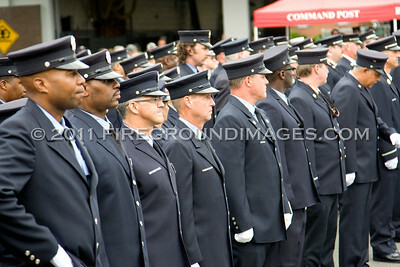 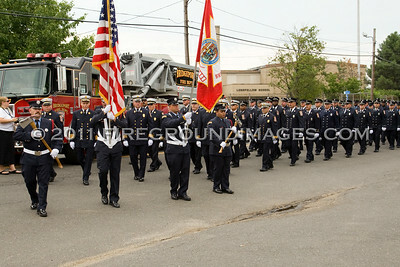 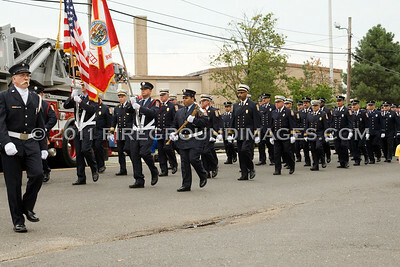 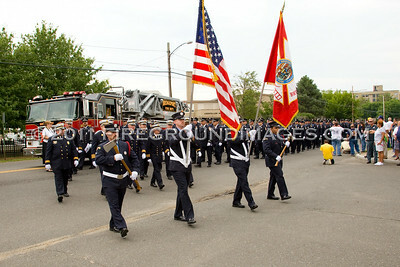 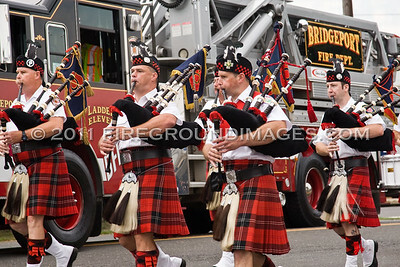 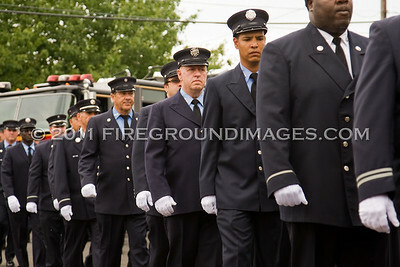 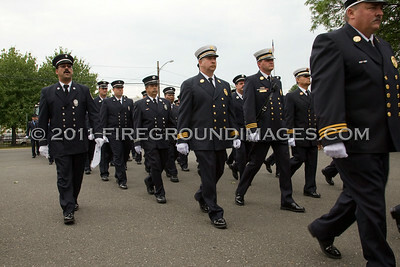 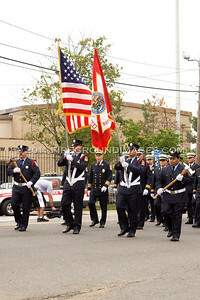 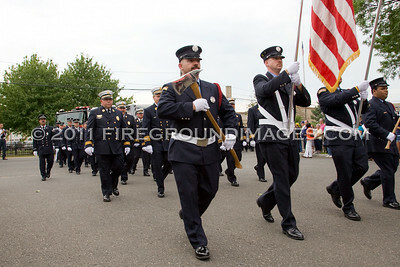 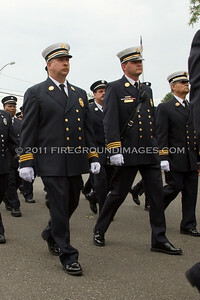 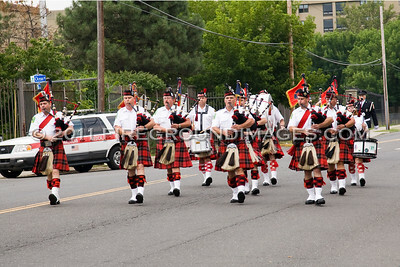 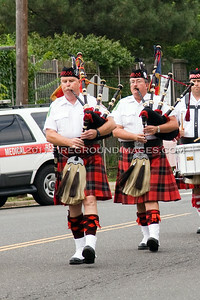 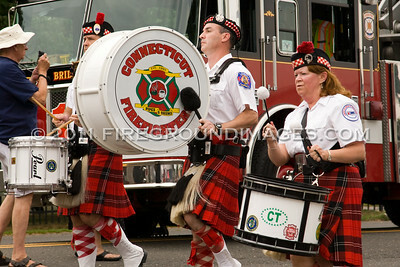 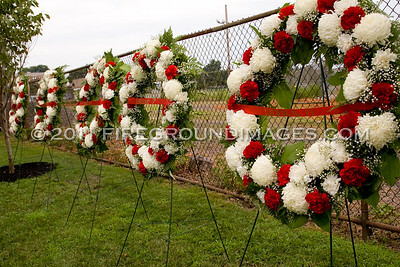 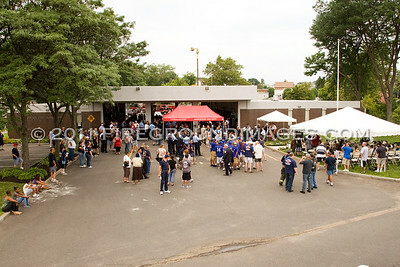 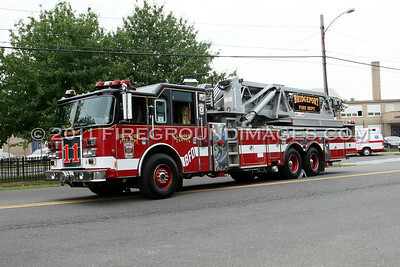 BRIDGEPORT, CT – On Sunday July 24, 2011, one year to the day after the fatal Bridgeport fire that claimed the lives of two Bridgeport firefighters, a memorial service was held at the Quarters of Engine 7 and Ladder 11. The ceremony, which included the dedication of a new monument, a new flag pole, and the renaming of the street in front of the firehouse, took place at 245 Ocean Terrace at 11:00am. 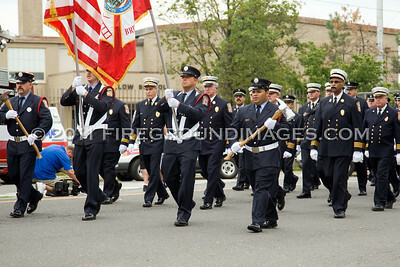 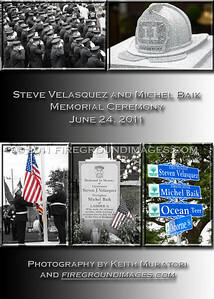 Lieutenant Steve Velasquez and Firefighter Mich Baik were remembered by approximately 700 people in attendance. 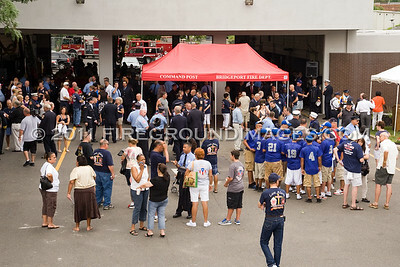 Of those attending were approximately 400 uniformed firefighters from Bridgeport, Boston, New York, and beyond, Bridgeport Mayor Bill Finch, U.S. 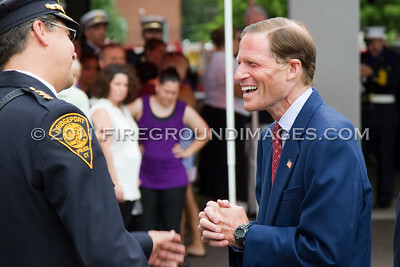 Senator Richard Blumenthal, U.S. Representative Jim Hines, and U.S. Representative Christopher Murphy.